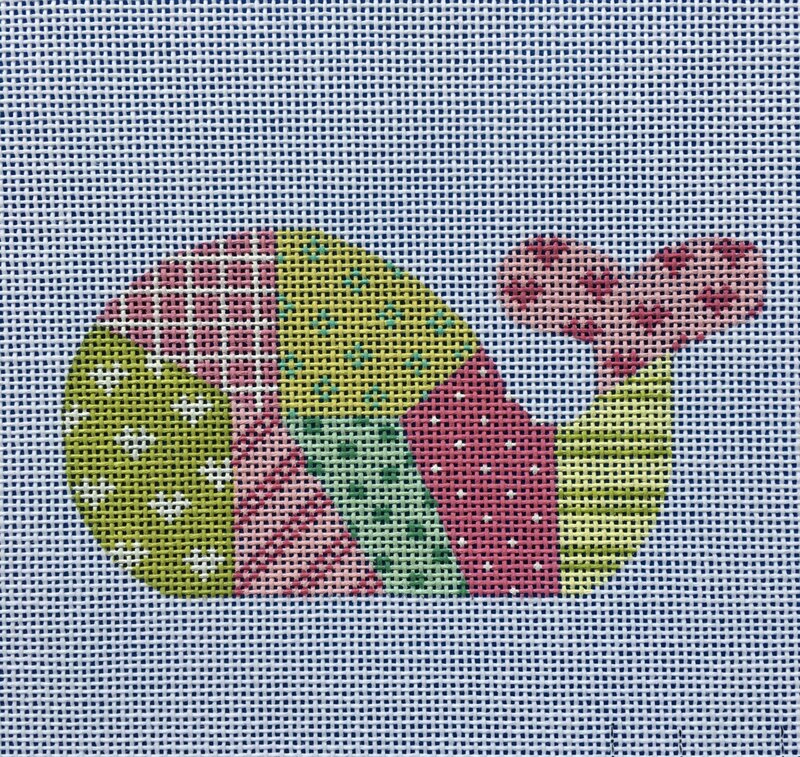 Patchwork whale in pinks and greens. 18 mesh. Measures 5" across and 3" down. Makes into a wonderful whale shaped pillow or stick additional background to turn it into any shape you choose.